The new Moeller circuit-breakers cover a range from 15 to 2000 A with just four frame sizes. And they are optimally matched to one another. The wide application spectrum covers every requirement as Moeller has closely examined what every customer needs and implemented the appropriate solutions. Outstanding, for example, is the continuous switching power range – which extends from the smallest to the largest circuit-breaker or the modular system which can be matched without difficulty to suit the specific application. 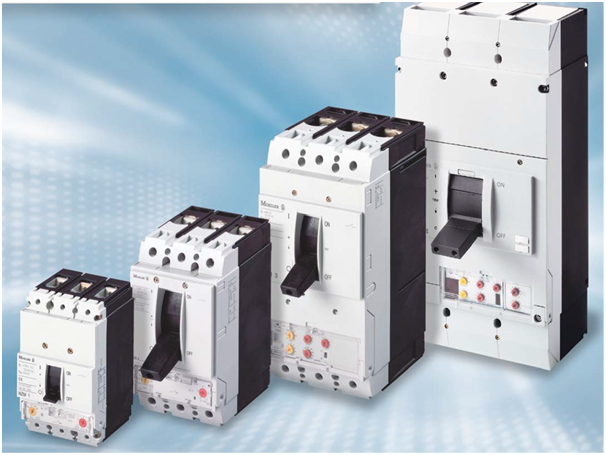 Thus, the circuit breakers can be used universally – from the smallest of service distribution boards, to machine controls or motor starter combinations, up to large energy distribution systems with a short-circuit breaking capacity of up to 150 kA.